Grab your grain of salt and get ready for some fresh Super Smash Bros. Ultimate leaks! A recent data-mine of Super Smash Bros. 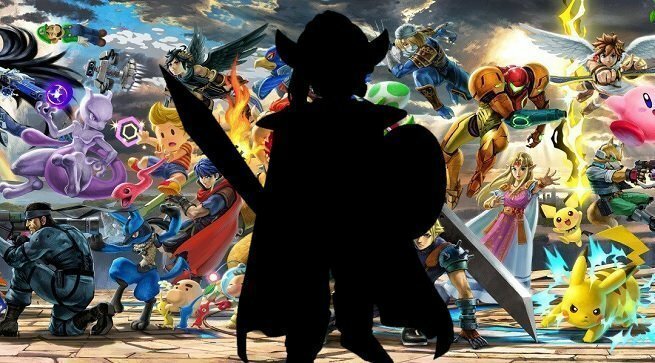 Ultimate files has given new credibility to a rumor about the next secret DLC fighter, so if you want to be surprised by the reveal, now would be the time to click out of this article. You have been warned. So here it is. The data for three new fighters has been mined from Smash Bros. recently, with the code-names Packu, Jack, and Brave. The Japanese name for the Piranha Plant is “Packun Flower,” so Packu makes sense. The recently revealed Joker is no doubt Jack, which leaves one more code-name: Brave. Now a little more background. A credible source (or so-called credible source) submitted three rumors a while back. Those three rumors were that a Granblue Fantasy fighting game was in development from Arc System Works; that a Dragon Quest character is the next Smash Bros. DLC character; and that Persona 5 is coming to Nintendo Switch. The first rumor has been confirmed. Arc System Works is in fact working on a Granblue fighting game. Many are convinced that “Brave” is the name for a Dragon Quest hero who’s making his way to Smash Bros., and we know that Atlus is revealing details about multiple Persona-related projects in March. All of this seems to be adding up very nicely, and suddenly those rumors are getting a lot more attention. We think it’s pretty safe to assume that a Dragon Quest hero is on the way to Smash Bros., possibly Erdrick, but we’ll have to wait to find out for sure. If Dragon Quest is confirmed to appear in Smash Bros., then we can very likely count on Persona 5 coming to the console as well. Stay tuned.